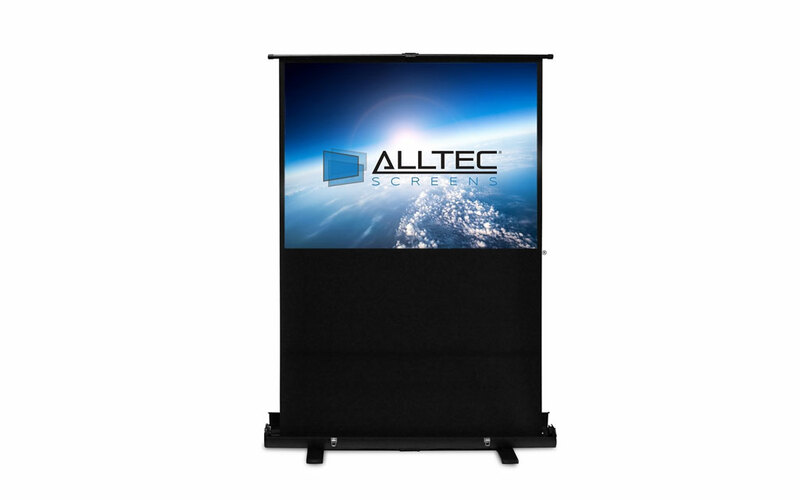 The Alltec Screens Floor Rising portable projection screen is the perfect companion for business presentations, trade shows, hospitality, a simple home theater or any portable application! Less affordable than a traditional Tripod screen, the Floor Rising screen does however have a few more benefits – easier to carry, easier to setup and easier to retract. Easy, Easy, Easy! 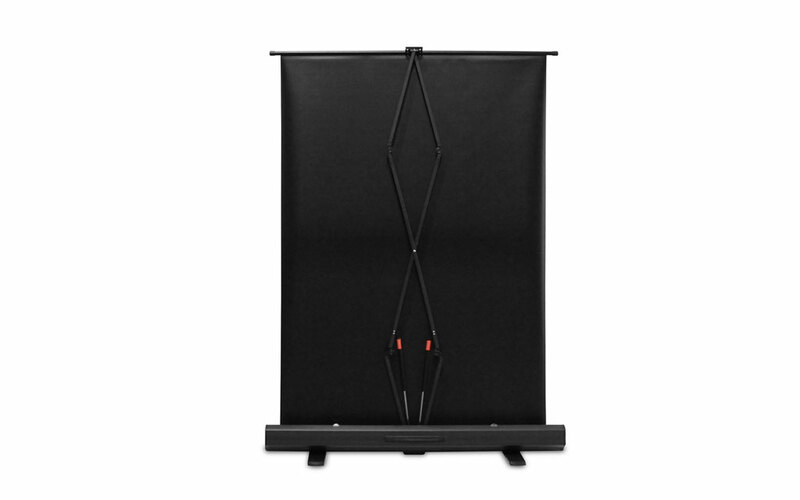 Easily transportable and free-standing, the lightweight floor rising screen uses a pneumatic telescoping pull up mechanism that lifts the screen from the casing. Once finished projecting, the screen retracts just as easily, into its rugged yet lightweight aluminum case. 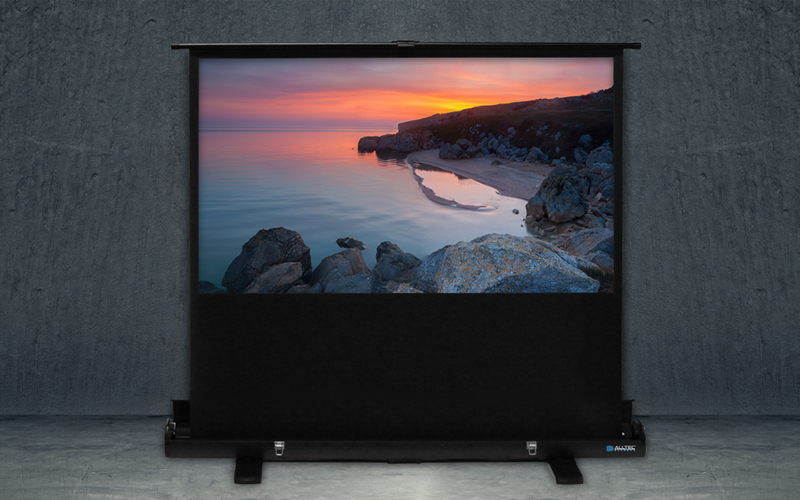 The Alltec Floor Rising projector screen also features a built-in keystone eliminator, which allows the screen to tilt forward in multiple increments, in order to compensate for angled tabletop projection setups. 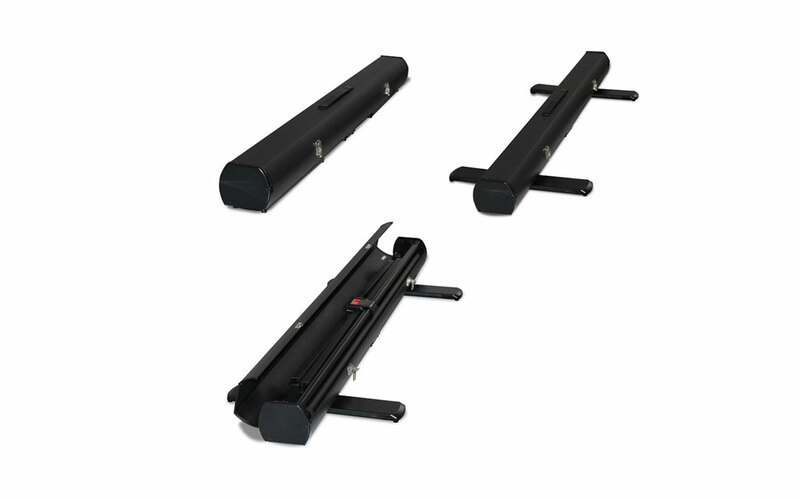 The Alltec Floor Rising projector screen utilizes a dual point scissor structure for the pneumatic telescoping pull up mechanism, for a stronger and more durable system. The sleek black aluminum case features an ergonomic carrying handle and folding feet to add stability to the projector screen when it’s open. A height adjustable bottom black border is also added to raise the screen further from the ground, to normal viewing height. Matte White – The most versatile screen fabric surface and the premier choice when ambient light is controllable. The Matte White projector screen fabric evenly distributes light over a wide viewing area, while colors remain bright and life-like, with no shifts in hue or contrast. The 110° viewing angle allows for a wide audience seating arrangement. With a Gain of 1.1, this projector screen fabric increases some of the brightness from the projection source, as long as ambient light is controlled. A black backing to the fabric is also added to retain the projected brightness.